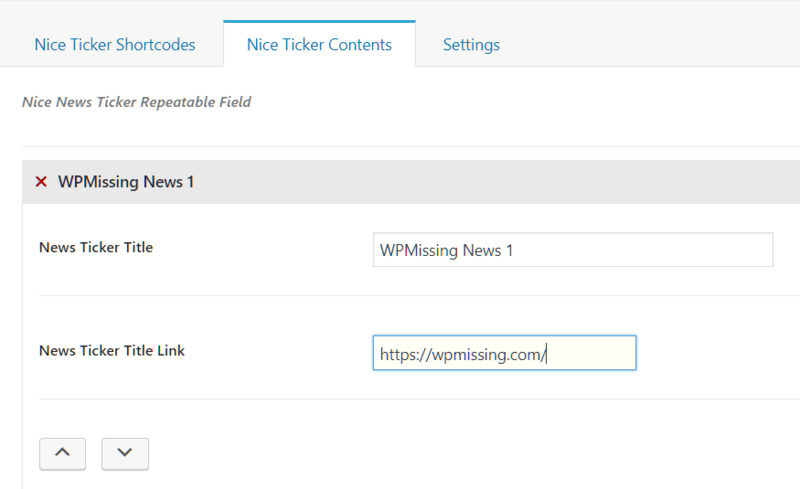 A pretty simple news ticker plugin to showcase your breaking news, latest posts, featured content in an elegant way. Easy to implement via shortcode and/or PHP function. 1. Go to the Add Plugins page after you login to the WordPress plugin as an admin. 2. Type the plugin name Nice Latest News Ticker in the search field. 3. Find this plugin in the results and click the Install Now button. 4. 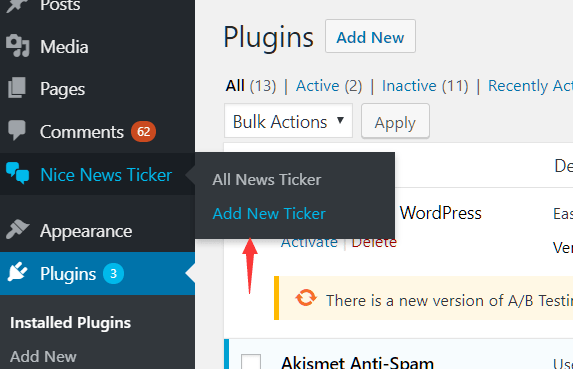 Enable the plugin and add a new News Ticker. 5. Add your own content to the news ticker under the Nice Ticker Contents tab. 6. Config the news ticker under the Settings tab. 7. Publish the News Ticker and you will find the shortcodes under the Nice Ticker Shortcodes tab. 8. Copy and paste the shortcodes into posts, pages or theme files. Done.